The 2018 Honda CR-V is Here! After a successful year of CR-V sales, the 2018 Honda CR-V has finally arrived! With its premium design, big versatility and fun-to-drive persona, CR-V has collected numerous accolades including the J.D. Power “2017 U.S. APEAL Study Award”, the “2017 Best New Car for Teens” by U.S. News & World Report and earned the “Must Test Drive” Award by Autotrader. 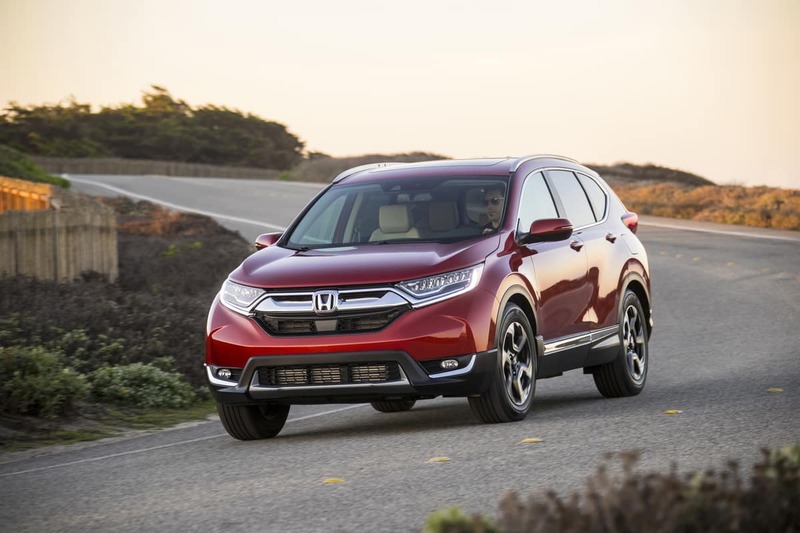 The 2018 CR-V offers Honda Sensing™ as standard equipment on EX and higher trims, including features such as Collision Mitigation Braking (CMBS™) with Forward Collision Warning (FCW) and pedestrian sensing capability, Road Departure Mitigation (RDM) with Lane Departure Warning (LDW), Adaptive Cruise Control (ACC) with low-speed follow and Lane Keeping Assist (LKAS). Additional driver-assistive technologies include the available blind spot Information (BSI), Rear Cross Traffic Monitor and Auto High Beam headlights.